Many years ago, along a winded dusty road, there were two small villages in the hills of Himachal Pradesh, on a lesser-known trade route called ‘The Wool Road’. Travellers from far-off lands would stop by these villages to recuperate from their long journey from China and Tibet. The local weaving community in the villages was greatly influenced by the travellers resulting in intertwined weaving traditions . Bearing great similarities, yet maintaining their distinct styles, these villages were Kinnaur and Kullu. While weaving was practiced for over 5000 years in these villages, the Kinnauris created distinct patterns bearing great resemblance to the motifs of the travellers. Fearing persecution, a large group of weavers from Kinnaur fled to Kullu. As they settled in their new habitat, they brought with them the design know-how and weaving traditions that were later adapted to the local style. There are wonderful stories and folklore that surround our crafts and the story outlined above talks about the origin of the Kinnaur and Kullu weaving. 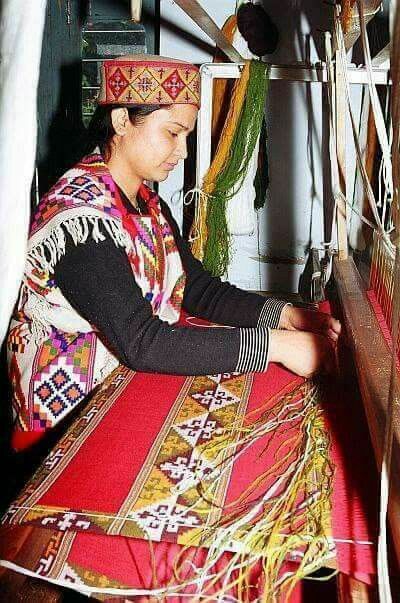 As per Master weaver Dhuni Chand, the art of weaving decorative motifs on wool garments began in the Kinnauri village Shubnam, and it came to Kinnaur from Tashkent, in Uzbekistan, via China and Tibet! Long journey! Maybe that explains the beautiful geometric patterns that might hold their origins in Tashkent and the colours used bear a striking resemblance to Buddhist mystico-spiritual motifs. On a lighter note, while we are braving the cold in Delhi, the folks in Kinnaur are living in fifteen feet of snow eight months in a year! The Colour palette: While Red is the main colour used to give the Kinnauri products their brick-red appearance, there are several other bright as well as sober colour combinations that one can find. Sky blue, mustard, coffee, olive green, royal blue, purple, black – sober or bright, the colours are beautiful! The Fibres: Deshkar (the fleece from local, lowland sheep) and Bihang (the fleece of sheep from Kinnaur and higher altitudes) find use mainly to weave shawls and pattus using the pit-loom. New yarns like the imported Australian merino, pashmina and angora have also been introduced for a more discerning clientele, but the locals prefer their Dohrus and Pattus woven using the local fibres. The Motifs: Kinnauri designs took inspiration from the weaver’s surroundings, religion, traditions / and philosophy of life with many of the motifs representing Buddhist religious symbols. In addition to the regular motifs like the ‘chabi’ or keys, ‘dorje’ or thunderbolt, ‘kanghu’ or comb, ‘tara’ or stars and many more, there is a symbol which is akin to draping a piece of China. Inspired by the tales of China, as told by Tibetan travellers along the Wool Road, it is known as the ‘diwar-e-chine’ or the great wall of China. The Weaves: Most products are woven in a twill weave, while patterned areas are woven in a tabby weave with an extra weft for the design. The finer and heavier the design, the wealthier and better, the family background. The Looms: Traditionally, a pit loom was found in every household. The other traditional looms include the muffler loom and border loom. The locals prefer weaving using the pit loom and local yarn, though the non-household industry for weaving uses the throw-shuttle, and predominantly the fly-shuttle looms extensively. The range of products: lengchas, chhanlis, dohrus, pattus, shawls, chaddars/lois, caps, border strips, patti, and kamrudar pyjamas. 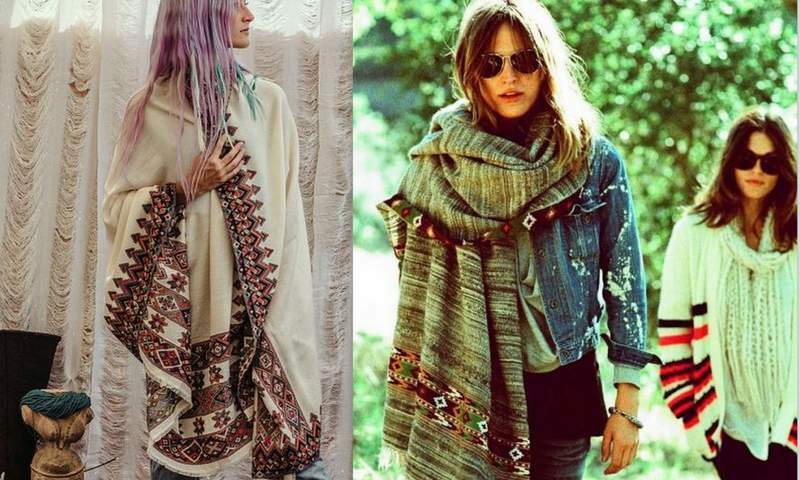 The most popular product, however, is the Kullu Shawl, that the region is famous for now. The Kullu shawl takes inspiration from the dohrus, lengchas and the chhanlis of the Kinnauris. It is said that Master weaver Tanjenram Bhagat started Kullu’s first weaver’s cooperative society and wove the first shawl. It was commissioned by a Mrs. S. Bhagwandass in 1942. Wear it like the locals or style it your own way, we leave that to you. 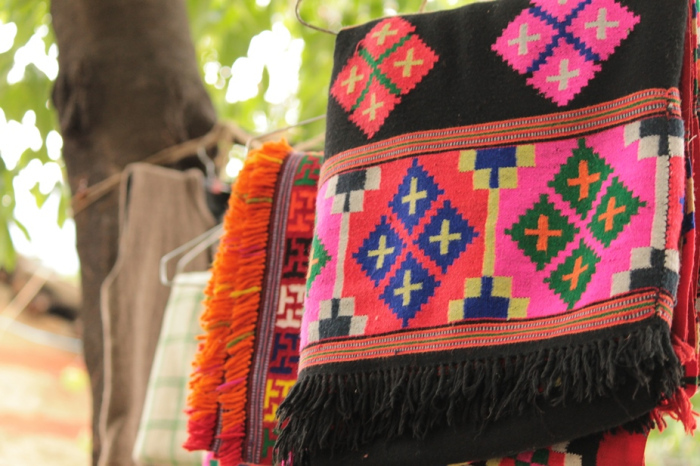 A handmade weave from Kullu is sure to bring warmth as well as adding oodles to your style quotient! Embrace handmade in your lifestyle!